The Scientific Expedition – ROICE 2016 was organized by the National Institute of Research and Development for Biological Sciences with the support of the Romanian Government through the Ministry of Education and Scientific Research, the National Authority for Scientific Research and Innovation, the Ministry of the Environment, Waters and Forests, having the scientific support of the Romanian Academy, through the National Committee for Antarctic Research. At the same time, we were joined by companies that sponsored this important research activity. 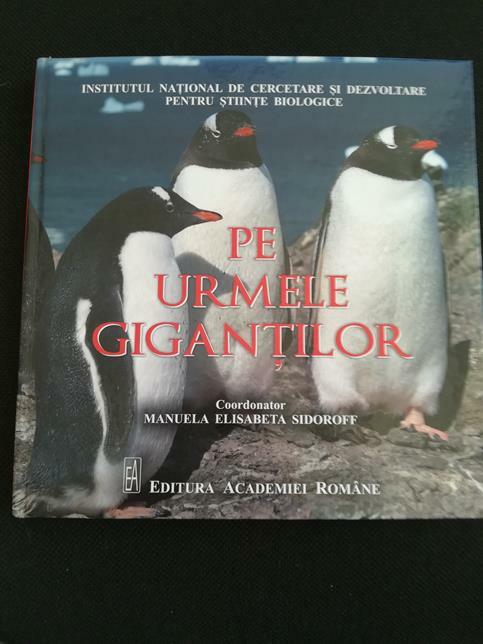 In order to continue the researches in the polar areas, the National Institute for Research and Development of Biological Sciences (INCDSB) agreed together with the partner from the Korea Polar Research Institute (KOPRI) to organize the second “Romanian Scientific Governmental Expedition in Antarctica – ROICE 2016”. The expedition occurred on the bases of the Framework Agreement between the two institutes, INCDSB and KOPRI. The expedition ROICE 2016 took place between 3rd and 23 February 2016, at King Sejong Antarctic Station, Barton Peninsula, King George Island in Western Antarctica. During the negotiations between the representatives of the two partner institutes, it was agreed that the expeditionary team would consist of 5 Romanian researchers. They were selected on the basis of their CVs, the experience gained in the first expedition and the preliminary results of the ROICE 2015 expedition.